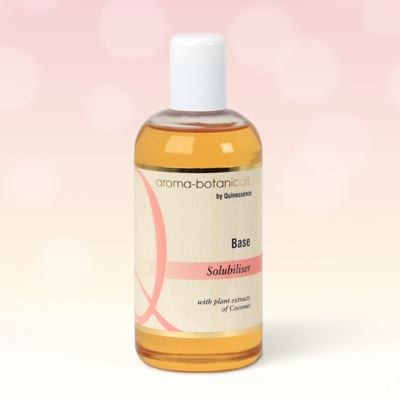 A natural and gentle vegetable derived dispersant base that dissolves essential oils completely into water. This completely natural dispersant does not contain Sodium Laureth Sulfate, Sodium Laurel Sulfate or Paraben preservatives. This non-oily, vegetable-derived product is perfect for making your own hair shampoos, bath soaks, body washes or even floral waters. Simply mix equal quantities of essential oil and Solubiliser together and add to the water for an instant flower water! Please note that when this product is used as a shampoo or bath soak etc, it has a low-foaming action since it does not contain SLS or SLES.